One of the world's largest helium gas fields has been discovered in Tanzania, thanks to a new approach to helium exploration. 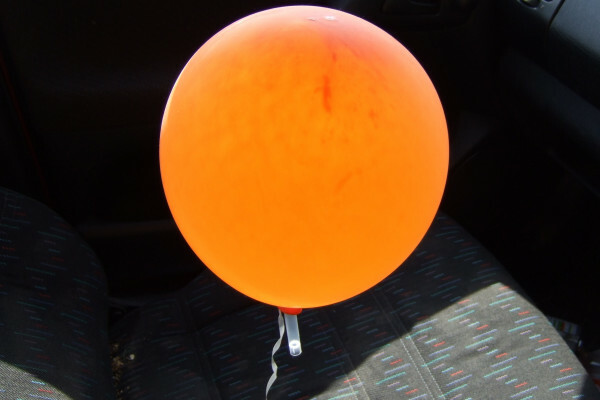 As well as the novelties of party balloons and squeaky voices, helium plays an important role in today's society, for example in MRI scanners in hospitals, leak detection in pipelines and in nuclear energy. Despite being the second most common element in the universe, there is very little on Earth. It is so light that when released into the atmosphere, it escapes into space. Such scarcity is of concern to the scientific community, and last year the British Medical Association warned that the supply may have to be regulated. Until now, helium has only ever been discovered by accident, cropping up in the search for oil and gas. By adopting the methodologies used in the oil and gas industries, researchers from Oxford and Durham universities, as well as Helium One, a helium exploration company, went on the hunt for helium, and discovered a huge helium gas field in the East African Rift Valley in Tanzania. Important factors taken into consideration in the oil industry include the rocks in which the oil forms, and how it is then released from these rocks into underground reservoirs. Helium accumulates in the Earth's crust over millions of years, from the decay of radioactive elements like uranium. However, it is not easily accessible, instead trapped within the crystal structure of the rocks in which it forms. The East African Rift Valley is home to ancient pieces of crust, which are around 2-3 billion years old. What's also special is the volcanic activity in the area. Africa is splitting away from Asia, and this movement of the Earth's crust produces a lot of heat. "That helps drive the helium from the crystals in which it's forming out into a gas phase which we can search for," explains Professor Jon Gluyas from the University of Durham. So how much helium has actually been discovered? By sampling the helium bubbling out of the ground in Tanzania, the team were able to estimate that the reserve should be enough to fill more than a million MRI scanners - seven times the total amount of helium consumed globally every year. Now that this successful exploration technique has been developed, it is believed that combining knowledge of ancient rocks and volcanic activity around the world will allow the whole planet to be 'graded' depending on where significant helium reserves are expected. The team already predict that there could also be a significant helium reserve in the Rocky Mountains. The research was presented at the Goldschmidt geochemistry conference in Japan. "As a gas which you can't easily manufacture and as soon as you've used it is so light that it escapes the Earth, we keep having to find more. Now we have a method that will allow us to do that." Why are electric sparks blue? Why do Ships Lose Contact When They're Entering the Atmosphere?